In her brutally honest, highly original memoir, Kristina Morgan takes us inside her head to experience the chaos, fragmented thinking, and the startling creativity of the schizophrenic mind. With the intimacy of private journal-like entries and the language of a poet, she carries us from her childhood to her teen years when hallucinations began to hijack her mind and into adulthood where she began abusing alcohol to temper the punishing voices that only she could hear. I've always enjoyed memoirs that deal with mental illness, but I've become particularly interested in them as I've started playing around with writing a bit myself about depression. This is obviously a far different beast, but it jumped off the shelf at me as one that would appeal. I'm torn on how to appropriately review the writing in this one. On the one hand, it is a remarkable look into the mind of a person with schizophrenia. It is complex and disjointed, but creative and lyrical as well. The author does an amazing job of capturing her mental illness and presenting it to the reader as if we were seeing into her mind. That picture, however, can be difficult to follow and reads, at times, like random strings of words. While this gives the reader insight to the disease and how it causes the author's mind to work, it can also be tiresome to read pages of incoherent thought. In the end, the author accomplishes precisely what she set out to do, but it wasn't always pleasurable to read. Again, the lack of coherence got to me by the end of the book in terms of overall enjoyment. I found myself skimming some portions where I just couldn't follow the author's train of thought. That said, the author has a truly amazing story to tell and I'm glad I read it. 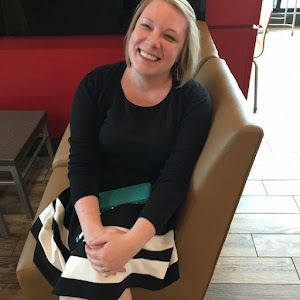 Not many people with schizophrenia are able to accomplish what Morgan has, and her story is inspiring and thought-provoking. I think it's definitely worth reading, especially if the subject of mental illness or the idea of seeing life from the point of view of someone with a significant mental handicap is of interest. I think it was well-done and gives a very accurate glimpse into the lives of people who struggle with schizophrenia. Thank yo uto TLC for providing me with a copy to review! 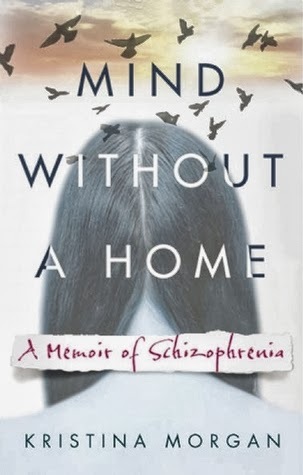 I am almost finished reading Mind Without a Home and can see that we have had similar experiences reading this memoir. I will reserve judgement until I reach the end but I can say that her experiences, as captured in her manner of writing, provide a greater sense of understanding into an often misunderstood disease. Schizophrenia is one of those disorders that completely fascinates and horrifies me at the same time.